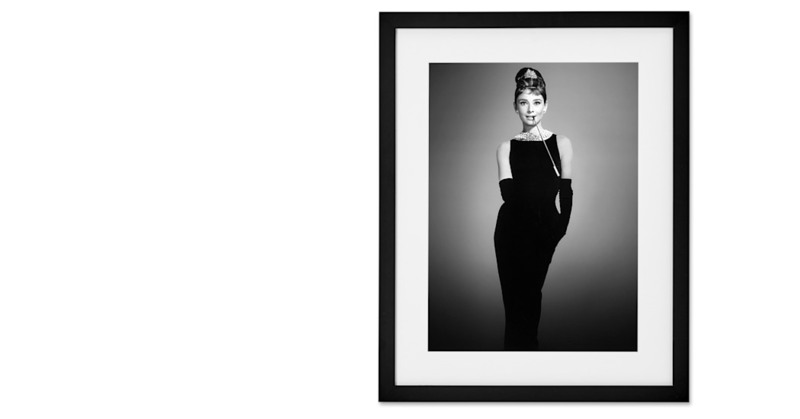 Celebrate the golden age of Hollywood with this framed print of movie icon Audrey Hepburn, taken from the 1961 film, Breakfast At Tiffany’s. Cool and sophisticated, black and white photography has a timeless appeal, and its monochrome palette means it suits all interior styles. A richly coloured Lambda print so well-finished your guests will believe you pulled it straight from the wall of a gallery. Mounted on white board and framed in the UK.